Reptor, elanlane13, Nap and 11 others like this. He was a Hussar officer - and a brilliant poet at the same time! As a hussar he fought bravely and successfully against the French invaders and was known for his "hedonism", which means a variety of "women's stories"! 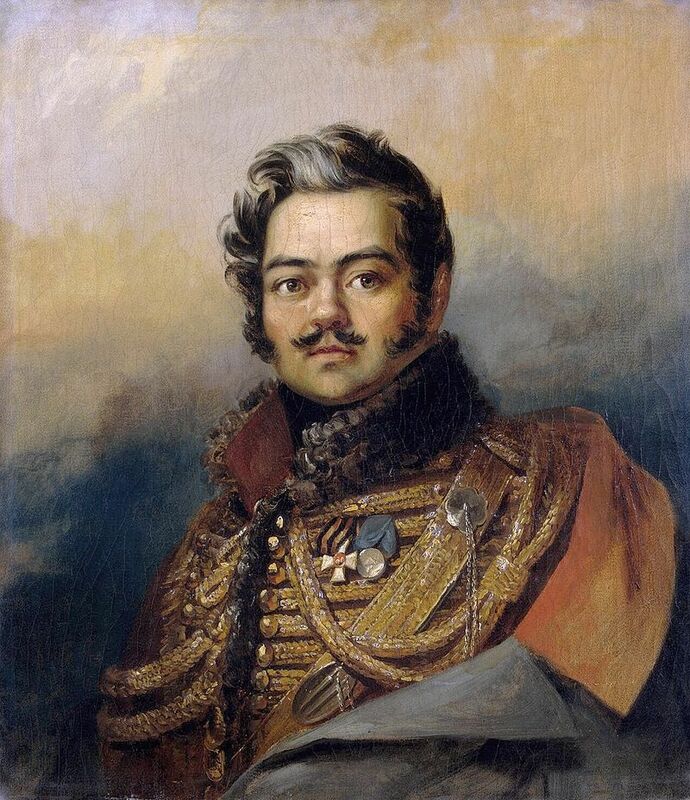 In this role, Leo Tolstoy has commemorated him: Davydov was the model for "Vasily Denisov" in "War and Peace". As a poet and diarist he created a completely new genre, which is known in Russian literature as "Hussar Poetry"
ArtMin, Huw63 and Romariogendalf like this. Nice will it be for sale as a kit sometime in the future? Who is the maker ? Where is it sold ? Looks a really nice figue. Some lovely painting there and a real likeness to the portrait. My only reservation is that the way the pelisse is treated makes it look very like leather. Siver Dream studios there is my friends and parthers. Can't find these on the website? In fact there is hardly anything on the website? Thanks for the link, some lovely stuff on the site but I am still unclear. Do you sell just painted pieces or are the items available in kit form?. There is no indication of price which would have answered the question for me. I sell all figures or bust unpainted. If you need painted figures we can arrange this the best quality try our pather Silver Dream Studio. My web site underconstruction now and I discuss each pct individually, but any case my prices are less than one the market. I hope that everybody can see prices and new disign soon.